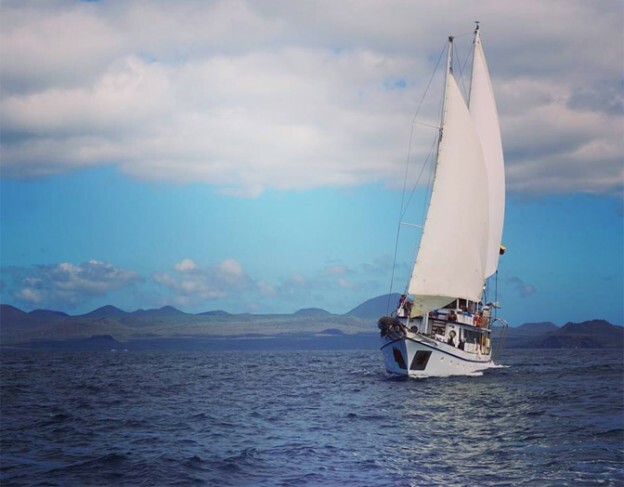 This group of islands include some of the most diverse of the Galápagos Islands. 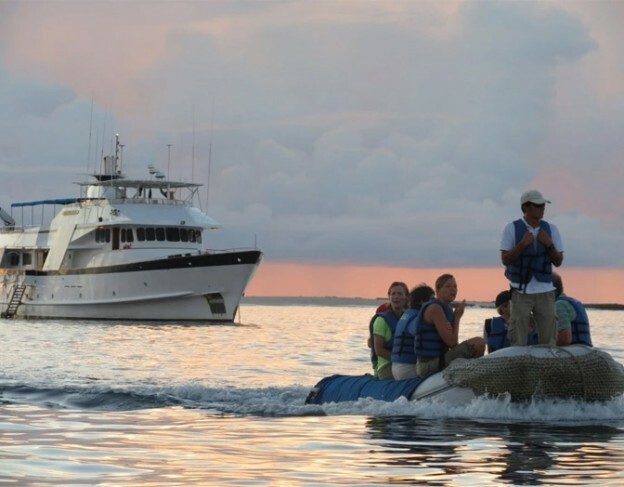 Most flights to the Galápagos Islands land into Baltra, north of Santa Cruz. Santa Cruz, the most populated of the Galápagos Islands, is home to a number of good hotel options. Santa Cruz is renowned for the Charles Darwin Research Centre which is central to the Giant Tortoise conservation project. North of Baltra you will find North Seymour, which is not a volcanic island and consequently the landscape here is different to the rest of the archipelago. It is home to Magnificent Frigatebirds, sea-lions and Marine Iguanas. Slightly further north is the dry and arid island of Santiago with its fantastic snorkelling opportunities, here you will discover land iguanas and Sally Lightfoot crabs. Santiago is also the only island to have Fur Seals. Close to Santiago is Bartolomé which is a fantastic place to spot the Galápagos Penguin. Just off the eastern coast of Santa Cruz is the small island of Plaza Sur. Only a mile long and a quarter mile wide, Plaza Sur is home to a large colony of sea-lions. West of Santa Cruz is Santa Fé, a small island that has a good mixture of marine and land mammals. Large cacti dot the landscape and there is a beautiful bay which is ideal for swimming and snorkelling. Right at the North of the archipelago is the remote island of Genovesa. A real birdwatchers paradise, here you will find Red-footed and Masked Boobies, Lava Gulls, Swallow-tailed Gulls, Storm Petrels, Short-eared Owls, Red-billed Tropicbirds and Pintail Ducks. Snorkelling is possible in the colourful marine rich waters. 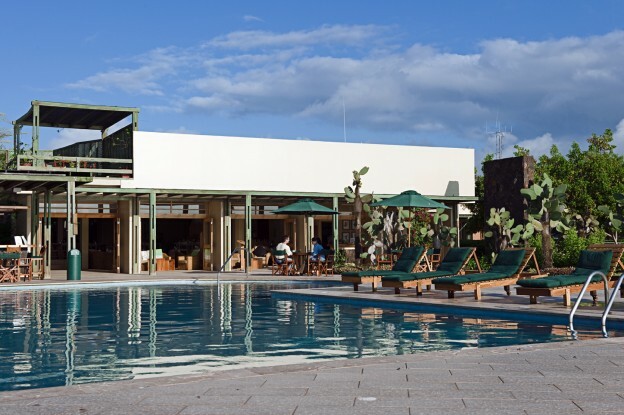 This 27-room beachfront eco-hotel, located on Santa Cruz Island close to the town of Puerto Ayora, is an excellent base for scuba diving and other activities such as biking, sea kayaking, snorkelling and hiking. 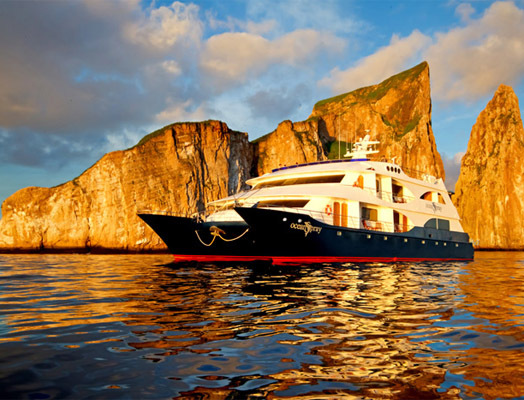 The hotel also has two yachts for day-trips to nearby islands.